Built for a Central European owner, “Christella II” is a displacement yacht with exteriors by Giorgio M. Cassetta and interiors designed by the shipyard’s style office. The main features of the yacht are its seamless lines, enhanced by large windows and an innovative layout. 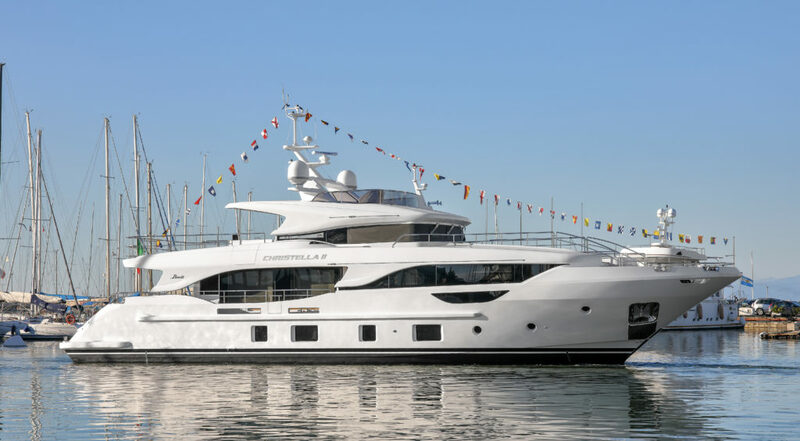 November 30 saw the launch in Viareggio of the Delfino 95’, the first unit in the new Class displacement line created for owners looking for extreme comfort, maximum liveability and the peerless quality standards typical of Benetti yachts. After the success of the Delfino 93’ (14 units sold to date), the shipbuilder decided to embark on a new project featuring spaces that flow into each other and an interior layout reminiscent of larger-sized yachts. 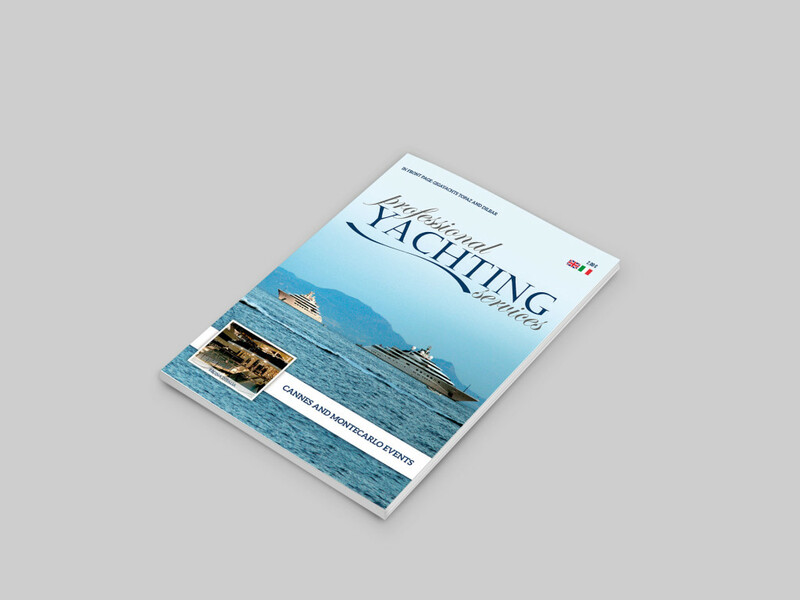 In terms of its design, this is a yacht built to amaze with the volumes it offers: despite a length overall of 28.95 meters and a tonnage of less than 200 tonnes (an expert owner can pilot the yacht without the help of a captain), it has remarkably spacious cabins and can accommodate five crew members. On the style front, there has been a concerted effort to translate all functional elements into decorative features, as well as to develop a light design that is both unique and innovative, drawing on the collaboration of UK-based design firm Aqualuce. The interiors are furnished in a modern style, with warm colours and moods: the main wood variety used is Canaletto walnut selected without flaming, interspersed with printed leather panels. The flooring in communal areas is parquet, while carpet has been used in the cabins. The Eramosa marble chosen for the yacht is cut in two different directions, with and across the veining, which changes its pattern. The Lower Deck is dedicated to guests, with four double cabins, including two intercommunicating VIP suites (through a big sliding door) with double beds and two twin-bed cabins. Each cabin has its own bathroom and the crew quarters can accommodate five members. The Main Deck is all on one level and features regular settings and shapes, allowing the spaces to be personalised as desired. The wide-body owner’s cabin is particularly roomy, with a width of almost 7 meters and a length of 3.20 meters, and also has a separate wardrobe area, designed as a special request by the owner, while the bathroom is fitted with a big shower compartment. The main lounge stands out for the two large glazed surfaces on either side that run the entire length of this setting, while the sliding door in the stern provides a remarkable sense of continuity between indoor and outdoor areas. The innovative positioning of the entire command station on the top level allows the service area to be concentrated on a single deck, making it easier and more practical for crew members to perform their work and delivering more privacy for the owner and their guests. The galley is very spacious in terms both of floor surface and work top space, while the laundry area has been positioned in the center of the boat. The Upper Deck features a big rest and relaxation zone, a classic sun lounging area, the helm station and, behind it, a dining area with opening roof and mood lighting for the evening, while the stern area contains an open air living area of unprecedented size. The large teak deck can be furnished according to the owner’s tastes and needs. The life rafts have been incorporated into the superstructure, so they are in no way detrimental to the elegance of the exterior lines. In an important innovation for boats this size, there is also a Sun Deck with two sofas, one of them reserved for the outdoor helm station, in order to offer guests the chance to enjoy the view during navigation, as well as providing an extra helm station, which is particularly useful when manoeuvring the yacht because of its height above water level. The garage can accommodate a tender up to 4.40 meters in length and the yacht is fitted with two 1,000 hp Man V8 engines, driving it to a top speed of 13.5 knots.